I’ve loved reading books for as long as I can remember. Even as a child I loved sitting in a corner and reading until the sun went down. My paternal grandmother would have to turn on the lights for me as I struggled to read with what little light was left from the window in the afternoons. I was that hooked to reading. It can be an expensive hobby/interest, but it is worth it. When e-books became a thing, I wasn’t sure if it was something that I would be interested in. After all, part of reading the book was the experience of having one. The feel of the pages on your fingers, the smell of a new book, the creases that develop from a well-read one…it’s just a different experience from the eyestrain and the need for gadget charging that is involved with e-books. I remember owning an early-era Kindle, which I eventually bequeathed to my niece when I discovered that I could install Kindle on my phone, along with other apps where I could acquire e-books from. Here's a money saving tip: Reading on a device is not always that easy but it does have its advantages. One of them being the freebies. 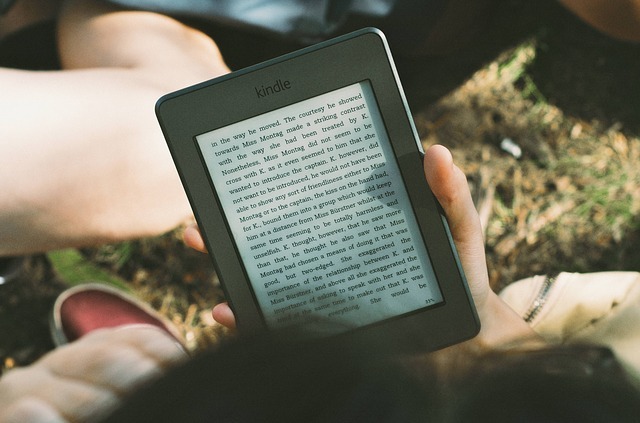 Did you know that you can get selected e-books for free? I discovered that when I saw a tweet from one of my favorite writers who was releasing her book for free for a limited period on Kindle. You would buy it for $0.00, but you needed to do it fast. Once the free period is done, it goes back to its regular price. I discovered that if I was patient enough, I could find these freebies via a search on Twitter when the writers themselves announce it. I love that they do that because I’ve discovered some writers that way. I would get a free book then if I loved his/her work, I would eventually end up buying future books on Kindle or Kobo (which, by the way, has a section devoted to free e-books for you to discover). Most of the writers I love now are writers I discovered through free e-books. A lot of them do not even have books available in bookstores. I wouldn’t have discovered them any other way. I love that there are free books that introduce me to these writers and later direct me to where I can buy their other books. I feel sad that even when there is a legitimate way to get these books, there are some who take advantage of these writers and sell these e-books illegally. The fact that there are people who buy them from non-legal sources is another issue. People, why are you doing this? Another freebie discovery that I had was that I could buy magazines from Kindle for free on their trial subscription. I’ve downloaded several issues from their trial subscriptions for me to read and browse over to see if I would be interested in subscribing to them on a regular basis. So far, I haven’t subscribed to anything because I haven’t even gotten around to finishing all the magazines that I was able to get for free! Think about it. You may not have the physical book or magazine, but you can get some of them for free to try them out. That’s something you can’t do with the physical thing. You can’t try out an author’s book or try a weekly magazine for a month. Plus, you are helping the environment by not wasting paper. Although I admit, the energy taken from using a gadget may also be harmful to the environment but still, you know what I mean right? If you love books and would like to be practical about your purchases, why not try reading free e-books (legally) then take it from there? If you don’t like the book, move on. But if you do, check out the author’s other books on Kindle and Kobo (these are the ones I’ve tried, this is not an endorsement) and try to make a purchase. If that writer does not have anything for free, you can also download samples of the book from Kindle (not sure if that have that on Kobo) or from Audible (audiobooks from Amazon, you can download a free audiobook during a trial period when you sign up). I think that’s the best way to go about this. You don’t spend money on a book or writer you wouldn’t like by trying their free work then you can go and buy them when you decide that you do. That’s fair, right?